And my love affair with Russian clones of Tube preamps continues. 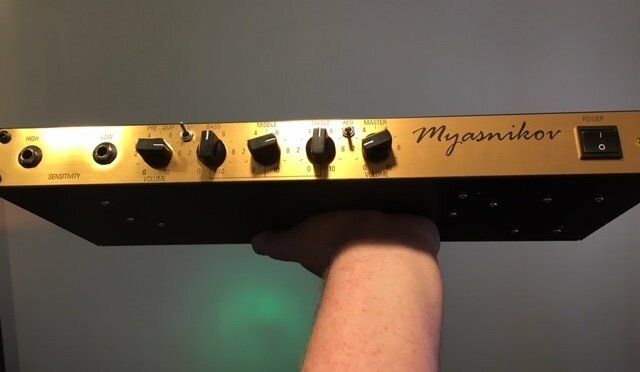 This is the Myasnikov JCM800 which is based of course on the Marshall JCM800. I've also got a mini tube screamer coming since once can't use a JCM800 without a tube screamer. It's just one of those laws of the Universe. And my love affair with Russian clones of American Tube preamps continues. This is the Myasnikov JCM800 which is based of course on the Marshall JCM800. I've also got a mini tube screamer coming since once can't use a JCM800 without a tube screamer. It's just one of those laws of the Universe. I almost got a ds1! But I wanted the classic green machine I know what the screamer should sound like with a JCM800 so I am hoping it sounds like that.